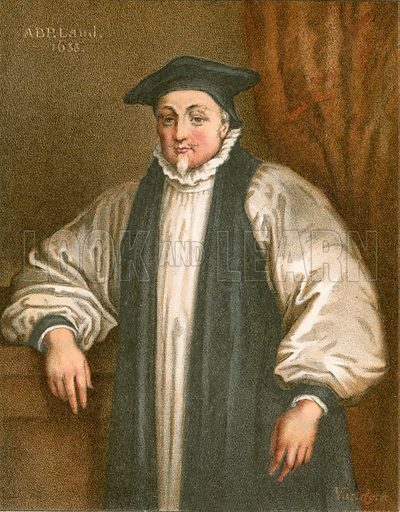 The best pictures of William Laud are striking mages of this high-churchman and the humiliating trial which destroyed him. The first picture shows a portrait after Van Dyck. 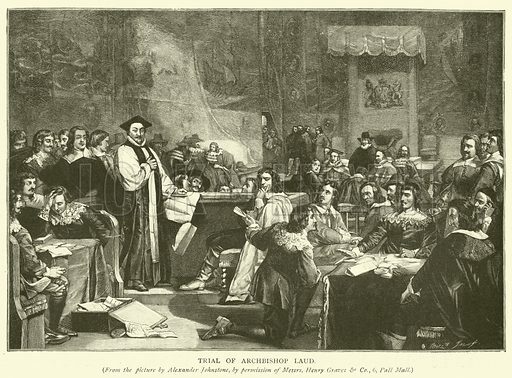 The second picture shows the trial of Archbishop Laud. 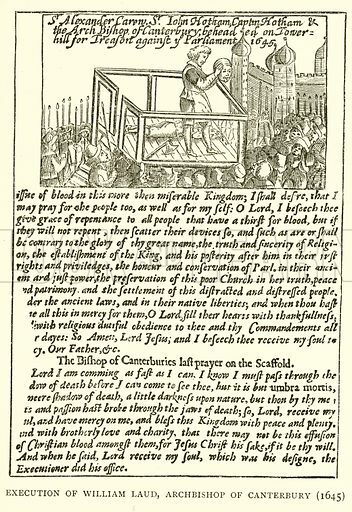 The third picture is a pamphlet showing a woodcut of Laud’s execution and printing his last prayers on the scaffold. Many more pictures of archbishops can be found at the Look and Learn picture library.